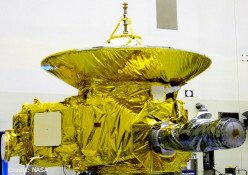 Dunmore Aerospace Starcrest™ MLI materials have been part of nearly all space programs worldwide since the mid 80's and is widely used in the Space Shuttle refurbishment programs and the International Space Station, as well as all US and European launch vehicles. 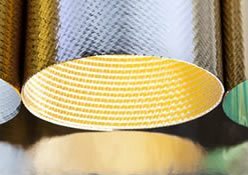 Dunmore Aerospace engineers Aerospace Tape, including polyimide tape, FEP tape and PET tape for use in spacecraft, aircraft and electronic applications. 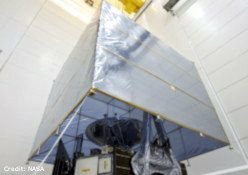 Dunmore Aerospace Starcrest™ electrostatic dissipative films are engineered protective films designed for the storage and packaging of sensitive spacecraft equipment and components. 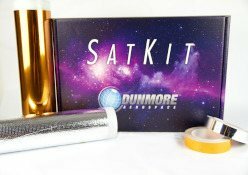 The Dunmore Aerospace Satkit contains standard Starcrest™ MLI materials cut into manageable sizes for small satellite developers to make their own thermal protection blankets for low earth orbit protection.